Even if your kids aren't going on vacation or off to summer camp, you can still ensure they'll have the best summer ever. 1. Play in a ball pit. Fill up an inflatable pool with 200+ pit balls. More info here. 2. Or in a pool of pool noodles. Cut up a bunch of pool noodles and place them in a kiddie pool. 3. Design a piece of furniture. Got an old chair lying around? Let the kids go to town on it. 4. Create art from things collected on a nature hike. 5. Or a family of peanut pals from things found in the backyard. Cotton ball hair ensures maximum realism. 6. Blow bubbles that bounce instead of pop. Even adults will be amazed by this scintillating science project. 7. Play in an air fort. All you need is a bedsheet and a box fan. 8. Play the silliest game ever. It involves wearing shower caps covered in shaving cream and tossing Cheetos at one another. 9. Make and fly a kite. 10. Run around the yard with wind catchers made from party streamers. It's the new ribbon dancing! Get the DIY here. 11. Make a layered drink. It also teaches an important lesson in density. 12. Jump around on a giant water blob. 13. Go fishing in a tinfoil river. 14. Start a lemonade enterprise. 15. Send your favorite stuffed animal on a hot air balloon ride. Get the directions here. The weight of the stuffed animal should keep the balloon from floating too far up and away. 16. Get a passport for the zoo. 17. Get covered in temporary tattoos drawn with watercolor crayons. These are cooked in a solar oven made from an old pizza box. 19. Mail something crazy to a pen pal, friend, or relative. Things you can mail under 13 ounces: a pair of flip flops, some sprinkles, a ball. Check out this Pinterest board for more ideas. 20. Finish a 1,000-piece puzzle. Dedicate a table in an unused space to an ongoing puzzle. When the puzzle's done, you could always glue a LEGO mat to the top and turn it into a LEGO table instead. 21. Learn how to play Set. This addictive card game is fun for kids and adults — and teaches math at the same time. You can also download the app. 22. Wear strewn bits of yarn in your hair. 23. Build a marshmallow sculpture. 24. Walk in the sand with stamped flip flops. Buy foam stamps or cut shapes out of foam and glue them to the bottom of a pair of flip flops. 25. Wear a flower crown. 26. Create a wind chime made from the stuff you found on the beach. 27. Make a bug house. Great for watching bugs crawl around for a short period of time before releasing them back out into the wild. 28. Put on a puppet show. 29. Make lawn stars with sifted flour. 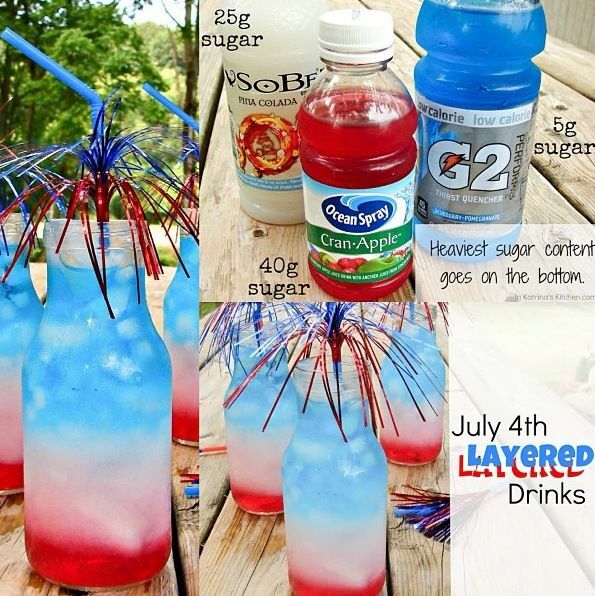 Have the kids do your Fourth of July decorating for you.